The amount of plastic in our oceans is rising at a staggering rate. 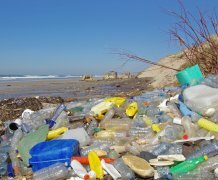 An estimated eight million tons of plastic – the equivalent of over 26,000 Boeing 747 planes – are swept in to our seas and oceans every year, causing damage to our marine ecosystems and posing a serious threat to wildlife, the environment and human health. At the end of last year the United Nations stated that we are in the grip of a "planetary crisis" with marine life now threatened by "irreparable damage". Research being carried out at the University of Exeter is at the forefront of identifying solutions to these pollution problems. Our researchers have skills in ecotoxicology, marine biology, conservation, ecology and risk assessment. We have published world-leading, land mark studies describing the environmental and human health effects of microplastics and plastics additives, and have pioneered some of the best and only methods in the world for tracing nanoplastics in living tissues. Bespoke laboratories for determining how microplastics affect cells, tissues, individual animals, populations and ecosystems. 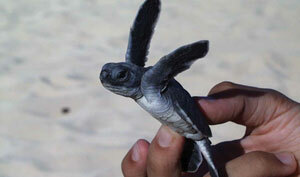 Our research has led to the successful conservation of global sea turtle populations under threat. Studies involving the extensive tracking of sea turtles around the world has informed policy and led to legislative changes providing greater protection for these animals. will you enable us to do more? How do microplastics enter the food web? From tiny plankton to marine mammals, sharks and turtles? How much microplastic is there in seafood intended for human consumption? What are its biological effects? Is there a risk of contamination to endangered or vulnerable species in the UK? In marine protected areas around the UK coast? In vulnerable international habitats and iconic locations e.g. the Antarctic or Galapagos? To what extent does plastic debris lead to increases in infection and the transfer of priority pollutants? eXXpedition: A series of all-women voyages to collect environmental samples to assess plastics and pollutants in search of answers relating to the health of our environment and our bodies. PhD student Emily Duncan will be embarking on this trip as Chief Scientist for the crew. Summer studentships for third year students: A summer placement would allow a student to continue their research into plastics in the stomach of fish that we eat, which is finding plastics in the guts and fins of fish we consume whole, such as anchovies and sprat. We need more funding to continue our research in to these key areas. Will you help us to combat the global challenge of marine litter? Please donate today - all gifts, of every size are appreciated as together they can be transformational. Thank you!